Western blot analysis of ARF3 antibody (Center D93) (AP17123PU-N) in MCF-7 cell line lysates (35 µg/lane). ARF3 (arrow) was detected using the purified Pab. 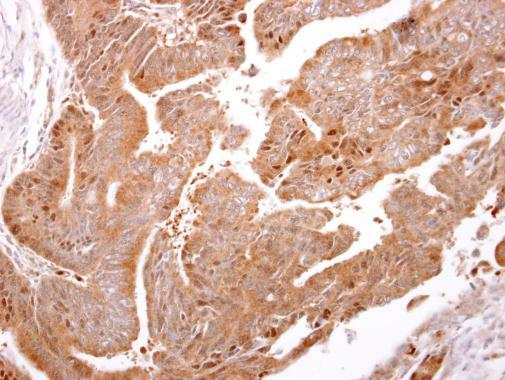 ARF3 antibody detects ARF3 protein at cytosol on human colon carcinoma by immunohistochemical analysis. Sample: Paraffin-embedded human colon carcinoma. 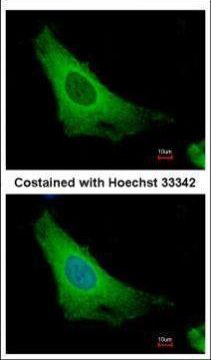 ARF3 antibody (TA308849) dilution: 1:500. 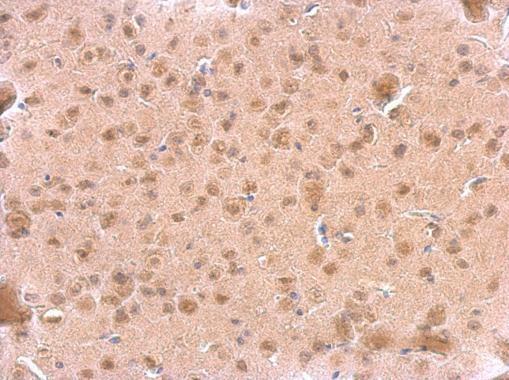 ARF3 antibody detects ARF3 protein at cytosol on mouse fore brain by immunohistochemical analysis. Sample: Paraffin-embedded mouse fore brain. 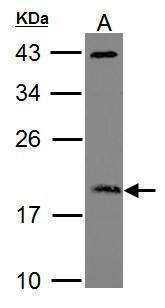 ARF3 antibody (TA308849) dilution: 1:500. Immunofluorescence analysis of methanol-fixed HeLa, using ARF3(TA308849) antibody at 1:500 dilution.